Boucherville, QC As part of the Quebec Major Junior Hockey League’s 50th anniversary celebrations, the league will be celebrating its half-century in several ways. Among them will be a list of the Top 50 players in QMJHL history based solely on their contributions during their junior years. They stand out among 9511 players who played in the QMJHL over the past 50 years. In this fourth segment, we will be presenting the 10 players ranked 30ththrough 21st. Six of these players have already been inducted into the QMJHL Hall of Fame and another one will follow in April. This segment includes the two top defencemen all-time. Moreover, six of these players starred in the 1970s. Defenceman Robert “Bob” Murray had an amazing career with the Cornwall Royals from 1971 to 1974. Murray was especially dominant in 1973-74 with 32 goals and 76 assists for 99 points in only 63 games, which was a league record. A native of Kingston, Ontario, Murray won the Memorial Cup in his first season with the Royals. He was also named the QMJHL Rookie of the Year. Murray went on to be a third-round pick of the Blackhawks at the 1974 NHL Draft and played 1,000 games in the Windy City. He is currently the GM and Head Coach of the Anaheim Ducks and will be inducted into the QMJHL Hall of Fame next month. At No. 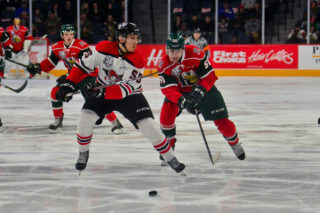 19 is forward Jonathan Drouin who caught the attention of our selection panel thanks to his three seasons spent starring for the Halifax Mooseheads. He helped the Mooseheads capture the Memorial Cup in 2013. The would-be third overall pick of the Tampa Bay Lightning in 2013, played 128 games in the QMJHL, collecting 242 points. 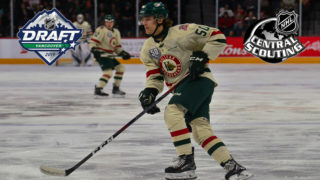 He especially made his mark during the playoffs, however, with 102 points in 50 career postseason contests, making him one of only two players along with Jacques Locas to register 100 playoff points in QMJHL history. Drouin is also one of eight players in Q history to have won the Michel-Brière and Guy-Lafleur Trophies in the same year as both regular season and playoff MVP. Like his linemate Jonathan Drouin, Nathan MacKinnon also turned heads from 2011 to 2013 with the Halifax Mooseheads. A Halifax native, MacKinnon wound up being picked first overall in both the QMJHL and NHL Draft. 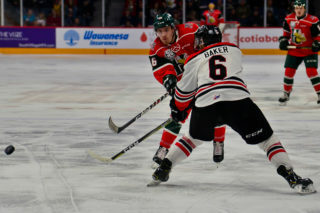 In May 2013, he was named Memorial Cup MVP after piling up 13 points in five games with the Mooseheads who, of course, won Canadian major junior hockey’s ultimate prize that year. Over his two QMJHL campaigns, MacKinnon collected 153 points in 102 games before breaking into the NHL as an 18-year-old. He remains one of only 12 players in QMJHL history to have cracked Team Canada’s roster at the World Junior Hockey Championships as a 17-year-old. Forward Daniel Brière made his mark on the QMJHL as one of the league’s most spectacular players of the 1990s. 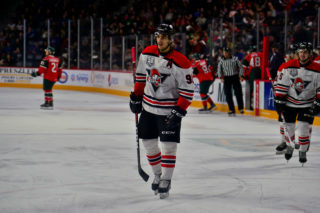 Over his three seasons with the Drummondville Voltigeurs, the Gatineau native registered 416 points in 198 games, placing him 36th in scoring all-time and No. 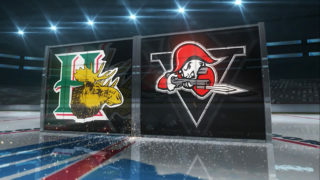 2 in Voltigeurs history. Brière is one of only three Q players over the past three decades to have notched three straight 50-goal seasons. In January 2007, the Voltigeurs retired his jersey. Brière took his rightful place in the QMJHL Hall of Fame in 2014. With the top 15 players on this list making it as forwards, Raymond Bourque is the top-ranked defenceman of the QMJHL’s first half-century. A Montreal native, Bourque spent three seasons in the league during the late 1970s with the Trois-Rivières Draveurs, Sorel Eperviers and then Verdun. In 204 regular-season games, Bourque collected 220 points before being a first roundpick of the Bruins at the 1979 NHL Draft. As such, he is one of only three Q blueliners to ever go on to be a top 10 selection at the NHL Entry Draft. He also remains the second-highest NHL point-getter to come out of the QMJHL behind only Mario Lemieux. The Top 15 begins with forwardRéal Cloutier who starred for the Quebec Remparts in the early 1970s. A player invited to Remparts camp in 1972, the St. Emile native posted 99 points in his first season and a staggering 216 points in his second as a 17-year-old. That 216-point season in 1973-74 remains the fifth-highest total in league history and the second-most points for a 17-year-old behind only Pat Lafontaine. During the Remparts’ run to the President Cup in 1974, “Buddy”, as he was known, notched 26 goals and 50 points in only 16 playoff games. On February 4, 2017the Remparts retired his jersey, No. 10, during a pre-game ceremony at the Videotron Centre. At No. 14 is Vincent Lecavalier who played two seasons in Rimouski, posting 102 and 115-point campaigns as a 16- and 17-year-old. Prior to being the first overall pick in the 1998 NHL Draft, Lecavalier was named QMJHL Rookie of the Year in 1996-97 and then was tabbed as the league’s top prospect the following year. The Ile-Bizard native who would go on to play over 1,200 NHL games has his No. 4 hanging from the rafters at the Rimouski Colisée since 2004. He was inducted into the QMJHL Hall of Fame last year. Along with Sidney Crosby, he is the only 16-year-old over the past 25 years to have reached the 100-point mark. At No. 13 is one of the cornerstones of the Quebec Remparts’ glory days, Andre Savard, who still holds the league record for points in one game with 12 – a mark he set on February 5, 1971. Savard enjoyed an amazing four-year career that saw him amass 451 points in 206 games. Were it not for an injury that cost him a half-season in 1971-72, the Temiscamingue native would have most certainly reached the 500-point mark. A Memorial Cup winner in 1971, he was inducted into the QMJHL Hall of Fame in 2005 and his No. 12 was retired by the Remparts in 2016. The No. 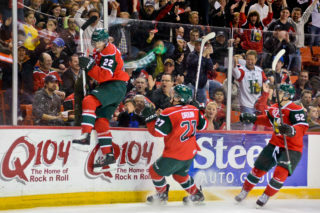 12 spot was designated by the Top 50 Selection Committee to belong to the league’s all-time leading playoff scorer, Jacques Locas Jr. Over his five years in the QMJHL, Locas Jr. piled up an incredible 711 points (regular season and playoffs combined) – more points than any player in the 50-year history of the junior hockey circuit. His record of 153 playoff points will most likely never be broken, same goes for his 92 springtime assists for that matter. Locas Jr., who made the jump to the QMJHL as a 15-year-old, played for both the Saint-Jérôme Alouettes and the Quebec Remparts with whom he won the Memorial Cup in 1971. Locas Jr. was inducted into the QMJHL Hall of Fame in 2002 before passing away in August 2006. Coming in at No. 11 is forward Jacques Richard, who in three seasons from 1969 to 1972 registered an impressive 399 points in just 169 games. Richard was part of the Quebec Remparts squad that won the Memorial Cup in 1971. The Quebec City native was the first player in league history to string together three straight 50-goal and 100-point seasons. Richard was also dominant in the playoffs with 97 career points, the fourth-highest total in QMJHL history. Richard passed away tragically in October 2002 at the age of 50.